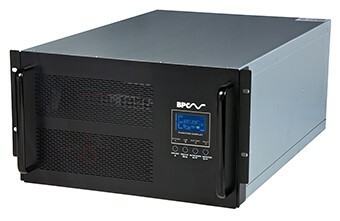 The PowerGem Professional uninterruptible power supply range uses state-of-the-art technology and components to provide maximum network protection where the load is continuously supplied by the inverter with a filtered and stabilised waveform and frequency to the highest standards. 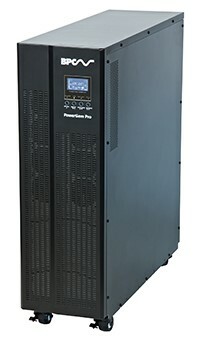 The PowerGem Pro UPS provides all round superior protection but remains easy to install and simple to operate from the front display panel and backlit LCD, showing input and output voltages, frequencies, battery readings and UPS operating status information. The PowerGem Pro UPS output is connected directly to the user's distribution system, eliminating the vunerable centralised static switch and control circuits. Models can be used in simple parallel operation with up to 3 units, allowing scalability for increased power capacity and improved reliability due to the redundancy operation. This feature allows either the USB or RS232 communication ports to work with an SNMPP simultaneously. Internal slots are provided for remote control and monitoring agents such as SNMP and relay cards. The PowerGem Pro can be as a frequency converter by simple programming through the front LCD panel. This will allow you to lock the output frequency at 50Hz or 60Hz to suit frequency sensitive equipment. Business continuity applications require long runtimes of several hours or even days. PowerGem Pro 'L' versions are available where the internal battery has been replaced with super efficient larger built-in chargers, giving up to 24x faster charger capabilities and extended battery autonomy. Advanced battery test facilities are available to detect deteriorating condition and performance.